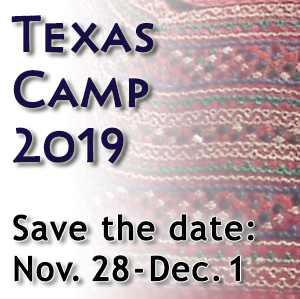 The TIFD Grants Program provides monetary grants for activities to be undertaken by affiliated dance groups of Texas International Folk Dancers (TIFD) and its members in Texas and surrounding states that advance the long-range educational aims of TIFD. Specifically, TIFD is interested in supporting activities that 1) promote folk dance and music in the community as participatory activities, 2) promote the teaching of folk dance, music, arts, and crafts native to a variety of countries, 3) preserve the history of folk dance and music, and 4) promote leadership in the field of folk dance and music through teaching and workshop scholarships. Applications for grants may be sent to TIFD at any time, but should be submitted 30-90 days prior to the planned activity. Otherwise, TIFD support may not be possible or the application will have a reduced chance of receiving TIFD approval. Applicants will need to complete the Grant Application (available below) and return it by regular mail to TIFD, P.O. Box 4516, Austin, Texas 78765 or by e-mail to: financial-assistance@tifd.org. Questions regarding the application or the grant process should be mailed to the regular mail address or e-mailed to the email address. If a timely response is needed, e-mail is recommended. Phone call applications or questions are not appropriate, as responses regarding TIFD’s financial activities need to be in writing. Evaluation of an application is based upon the application’s completeness and clarity and upon how well the proposed activity advances the overall goals of TIFD. Application review and notification of the applicant are anticipated to take no more than three weeks. As a condition of receiving a grant, the recipient shall provide TIFD with a written final report about the activity, as well as a written financial report, no later than six weeks after the completion of the activity. If promotional material is created for the activity, credit for supporting the activity needs to be given to TIFD in the material and a copy of the material shall be included with the written reports described above.